He is Sayyid Badee-ud-Deen Shah Ibn Ehsaanullaah Ibn Rashidullaah Shah Ibn Rasheed-ud-Deen Shah Ibn Muhammad Yaseen Shah Ibn Muhammad Raashid Shah ar-Raashidee al-Hussainee. He was born on 10th July 1925 corresponding to 1342H in Gowt Fadlullaah Shah (Present day Gowt Old Peer Jhandah) Province Haalaa, District Hydrabaad Pakistan. He memorised the Qur’aan in three months and he memorised the whole of Soorah Noor on a camel Journey. In Fiqh he studied up to ‘Hidaayah’ and in the Usool of Fiqh up to ‘Talweeh’, up to ‘Sharh Jaami’ in Nahw and a small part of ‘Abdul Ghafoor’. In Sarf he studied all the books. Due to the oppression by the people he was forced to move to a village called New Sa’eedabaad. Here the Shaykh established Madrassah al-Muhammadiyyah, and began to teach Saheeh al-Bukhaaree and Tafseer Ibn Katheer. During his life he destroyed a number of graves and had numerous discussions with the people of innovation. Once the Shaykh was invited to a village to deliver some lectures. The Shaykh, as usual, would deliver his lecture on Tawheed and adherence to the Sunnah and refutation of the evidences of the people who are engaged in shirk. The Shaykh, due to his oracy granted by Allaah, convinced and influenced many people; some of whom were from adjoining villages. One adjoining village had a grave where the people, especially the women, used to go for worship and other acts of shirk. So some of the people of this village, influenced by the Shaykh, invited him to their village to deliver some lecture’s. So the caretakers of the grave and other village dwellers, engrossed in grave worship, threatened the Shaykh with death threats and attempted to hurt him. Nevertheless the Shaykh continued. When the people realised he would not leave, they all sat down behind a wall and listened attentively to every word of the Shaykh and the Shaykh enlightened the people of the reality of shirk and its consequences and the benefits and the importance of Tawheed. After the Shaykh left, all the village dwellers said everything Badee-ud-Deen has said is correct. So the Shaykh, himself, and his companions demolished the grave to the ground. So the people of innovation lodged a complaint with the government, but their case did not succeed as the grave worshippers could not prove the existence of a real grave at that place. And many similar incidences of this nature occured with the Shaykh during his life. Then, upon the request of Daar al-Hadeeth Makkah he taught there for one year. Then upon the request of Shaykh Abdullah Ibn Humaid Raaes Majlis al-Qadhaa al-A’la he taught in the Haram for a number of years. During his stay there he was asked on numerous occasions to deliver lectures and sermons against the people of innovation, who were spreading their innovations in Makkah. One such incident was during the days of Muharram. The Shee’ites from Iran, Pakistan and India would set up stalls in the names of their Imaams. The Shaykh delivered extensive lectures for two full days in refutation of them after which a single stall was not set up. In the same year the Shaykh would deliver lectures after the Asr prayer, on the loudspeaker, in the Prophets Mosque. Then he moved to Makkah and resided there. As usual he would deliver lessons on Sunan Abu Daawood, Usool al-Hadeeth and Asmaa ar-Rijaal after Fajr everyday in Masjid al-Haram. And after the Maghrib prayer he would teach Saheeh al-Bukhaaree and Tafseer Ibn Katheer. During his life the Shaykh was invited to many countries to propagate the Deen of Islaam. He travelled to the State of Aa’maan, U.A.E., Kuwait, England, the U.S.A and other countries. Tahdheeb al-Aqwaal Feeman Lahu Tarjamah Fee Adhaar al-Bara Minar Rijaal. 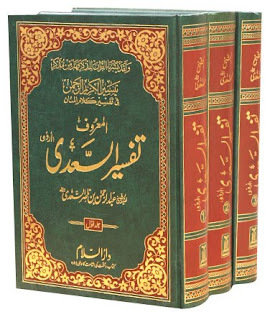 Munjid al-Mustajeez Lirawaayah as-Sunnah Wal-Kitaab al-Azeez. Juz Manzoom Fee Asmaa al-Mudalliseen. Jalaa al-Ainain Bitahqeeq Rawayaatal-Bukhaari Fee Juz Raf al-Yadain. 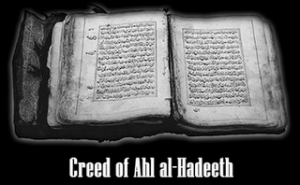 Al-Qaul al-Lateef Fil Ahtajaaj Bil Hadeeth ad-Daeef. Sareeh al-Muhmad Fee Wasl Ta’leeqaat Muwatta Imaam Muhammad. al-Ajaabah Ma’a al-Asabah Fee Tarteeb Ahadeeth al-Bayhaaqee A’la Masaneed as-Sahabah. al-Jawaab ad-Dalaat An Masalah ath-Thalaath. al-Atwaam al-Mar’ashah Fee Bayaan Tahreefaat Ahlur Raee al-Mudhishah. Tanqeed as-Sadeed Bir Rasalah Ijtihaad Wat Taqleed. Nishaat Al-Abd Bijahr Rabana Walakal Hamd. The Imaams Aqeedah should be Correct. The Methodology of Ahlul Hadeeth and Taqleed. The Prayer of the Prophet. at-Tanqeed al-Madhboot Fee Tasweed Tahreer al-Maboot. 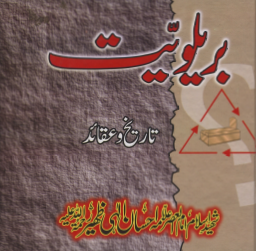 Tawheed ar-Rabbaanee Ya’nee Sachee Musalamaanee Parts one and two. At-Tafseel al-Jaleel Fee Abtaal at-Ta’weel al-A’leel. He was a master in language and a prolific writer. He wrote a book, in Arabic, called Wasool al-Alhaam Lasool al-Islaam without a single full stop. The great Imaam departed from us in January 1996 (1416H). May Allaah have mercy upon him. Ameen.